Why you should choose Sierra Nevada for your next training camp. What should you look for in a training camp destination? All of these locations have a broadly similar appeal; good weather, well-surfaced roads, nice climbs and descents. The drivers are respectful, the roads are quiet, and there is a good amount of variety. 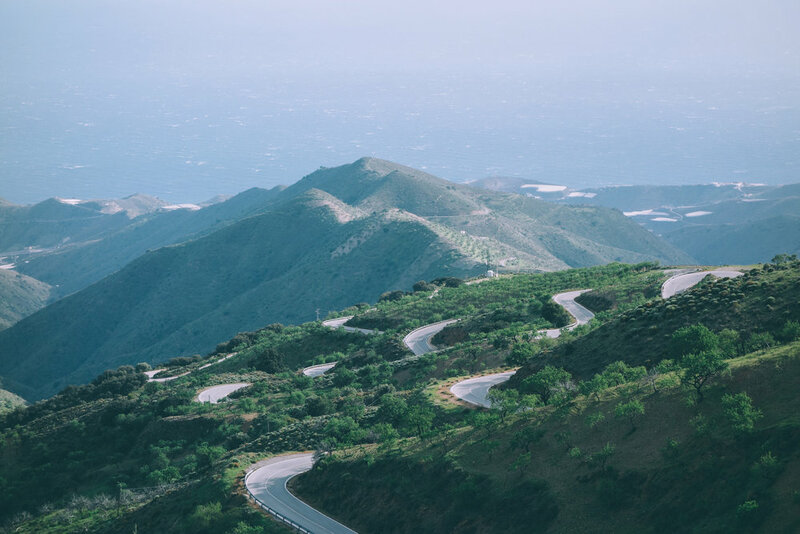 The decision you have to make is one of suitability, do these destinations offer said roads, good variety, facilities, weather and accommodation? Is it expensive? Is there a good choice of food and restaurants? Do you want someone to guide you or do you want to focus on your own training on solo routes? Do you want a cycling holiday or a full on eat-sleep-cycle-repeat training camp? Are you coming with a group or solo? Once you have decided what sort of package you’re looking for, you’ll soon realize that Cycle Sierra Nevada can comfortably cater for every single one of these criteria. What does Sierra Nevada have to offer? 1. The Roads - The roads here are exceptionally quiet, we're based in the countryside and once we leave our base there's not too many other road users to contend with. The drivers you do meet, are generally incredibly respectful, providing room whilst overtaking, as well as making sure you know they're there before they begin to overtake. It's not uncommon to tackle on of local climbs and not pass a single car. 2. The Climbs - We are based in valley surrounded by mountains, to the north we have the Sierra Nevada, to the east the Sierra de Lújar and coastal range of the Sierra de la Contraviesa, and to the west the Sierras de Los Guájares y Almijara. Consequently, there's no shortage of climbs to take on. In fact, we have more than 20 HC category climbs that are within riding distance from our base. That being said, whilst most of the climbs in the locality are quiet long they are mostly around 5 to 6 percent in average gradient, so you can select a gear and hold a steady rhythm for length of the climb. 3. The Weather - People often get the impression that the Sierra Nevada has a colder winter climate. Whilst this rings true for the city of Granada and the Ski Station at 2500masl, which can both experience bitterly cold temperatures in the winter. This is not the case for us on the southern side of the mountain. We're based at150masl and only a few kilometers away from the Costa Tropical which has, as the name would suggest, a sub-tropical climate. The area is blessed with 320 days of sunshine per year and it's one of the few regions of Europe where crops such as chirimoyas, avocados, bananas and mangoes grow. Basically, this means that you can expect great conditions to cycle in the earlier part of the season and it's no uncommon to see the professionals, such as Peter Sagan, that are based in the Ski Station start their rides from our little village. 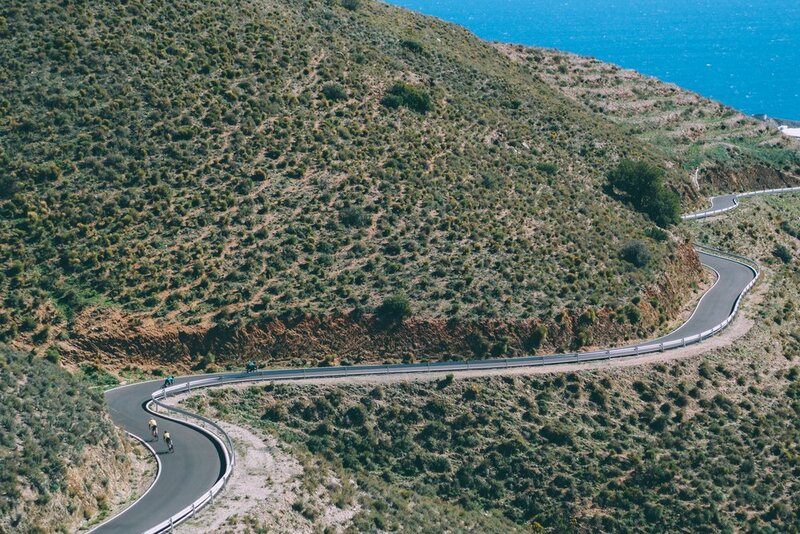 It also means, unlike other areas in Spain, that it's possible to ride the bigger climbs all year round without wearing your full winter kit. 4. Variety - The variety in Sierra Nevada is endless, with an array of routes, climbs and descents to choose from. Feel like a recovery spin? Cycle down to the beach for coffee. Want an epic day? Head for one of the 20km climbs spread out around us. You’ll never have to ride the same roads twice. Such is the multitude of climbs out here that you’ll have trouble picking. 5. The Descents - As all ready mentioned above, we have the roads, we have the climbs, coupled with very little traffic make the descents here things of pure joy. Sweeping bends, fast straits, and tight hairpins all add to the fun of these long downhills. While descents may be daunting to some, the road surface, and little traffic means that you can relax a bit more. Your descending will undoubtedly be improved by the time you head home. 6. The Location - We're located in the small traditional Spanish village of Velez de Benaudalla. You will find genuine tapas bars, traditional restaurants typical of the Andalucian region, supermarkets, banks, pharmacy, doctors' surgery and takeaway foods. The bakery even makes daily deliveries around the village! As it's off the tourist map you do not have to expect tourist prices. As we're basically only one hour from the airports of Malaga, Almeria, and Granada, it makes relatively easy to get cheap flights to us all year round. If you’re interested in trying out some of these glorious climbs, and getting a true experience of all that Sierra Nevada has to offer, don’t hesitate to fill out the booking form here. Should you have any questions or want to know more, please contact us. From bike hire, guided tours, or organizing routes and accommodation for you, Cycle Sierra Nevada has all this and more.